Building a digital portfolio is the most important step in getting a job if you are a graphic designer, but it’s equally important for other visual artists, such as photographers and illustrators. Having a portfolio will also be an advantage in getting a job, even in professions in which people don’t generally build a digital portfolio: marketer, real estate agent. Possible employers and clients will want to see some samples of your work before they make a decision to hire you or start a contract. The best way to present what you’ve been working on in the past is to make an online portfolio that is highly shareable and that looks absolutely amazing – put your best foot forward. Now that sounds like a tough job, but I trust your abilities and I also have some tips and some online portfolio examples that will help you do a great job. Each channel has unique advantages, so it’s advisable to present your work on multiple platforms and formats. This article will go into details about how to make an online portfolio as a magazine that looks just like the printed one. 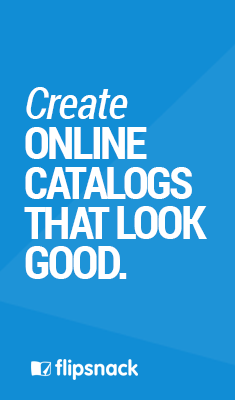 It’s the best way to display your best work samples, because it doesn’t require the viewer to scroll, jump to next project and figure out the navigational system that the platform/ website has in place. With magazine portfolios the navigation is as easy as it can get, as intuitive as it is to browse through a printed magazine. Another notable benefit is that your clients or your future employer will be impressed by the polished, professional look of your digital portfolio. So learn from us how to make an online portfolio with a page flip effect, perfect for graphic design, photography, art, fashion, architecture, paintings, illustrations, journalism, marketing, crafts, interior design and more. Design having 2 page layouts in mind – Our recommendation is to make the layouts using InDesign or other dedicated tool for editorial design. Keep it under the 30 pages – You don’t have to present every single project that you’ve worked on, just the best ones. If you must go over this limit, make sure you have a very good reason to do so. Use big images for big impact – If you use images make sure they are big enough to create an impression on the viewer, and don’t overcrowd pages using too many small ones next to each other. Keep texts to a minimum – There are exceptions to this rule, if your portfolio is about your writing skills. In that case, perhaps you can play with color and different fonts to surprise readers. There are no other rules, except for one: it has to represent you and your aesthetic, so keep working on your portfolio until you are satisfied with how it looks. Export your work as PDF. I advise to make 2 versions, one optimized for web, and one for print. The best way to present your portfolio as a magazine online is Flipsnack, and it’s very easy to use. You just have to upload your PDF on FlipSnack and it will automatically be converted into an impressive magazine portfolio. Basically, if you can make a printed portfolio to present your work, you can make a FlipSnack portfolio. Actually, you can do more with a FlipSnack portfolio: you can add sounds and videos in your portfolio, which is something you wouldn’t be able to do in a classic printed portfolio. When we first created FlipSnack, we didn’t have portfolios in mind. But some creative people started using our online application to publish resumes and portfolios and then we realized that this was a smart idea. Now we can clearly see why people chose Flipsnack to create amazing digital portfolios, and we invite you to do the same. Here are just a few online portfolio examples, but there are many other online portfolio examples published on Flipsnack. It features a lot of creative portfolio examples, covering various topics: graphic design portfolio, art portfolio and interior design, photography and more. 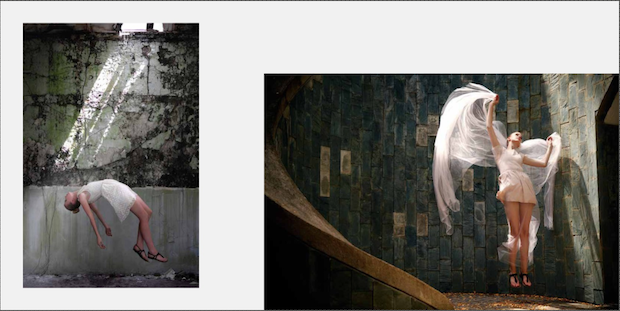 This is a short preview for a fashion photography portfolio that you can view on Flipsnack. 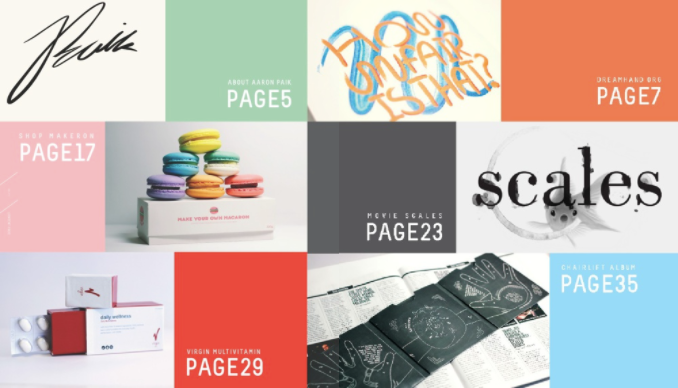 See more layouts by clicking on the image and be inspired. This is one of the best page of contents that I’ve ever seen! Look at those colors! Yum! It’s a nice preview for the rest of the online graphic design portfolio. Click on any of the images above to see more pages from the portfolio, and don’t forget to visit our Pinterest board featuring creative online portfolio examples. Go ahead, upload your portfolio on Flipsnack. First 15 pages are free!